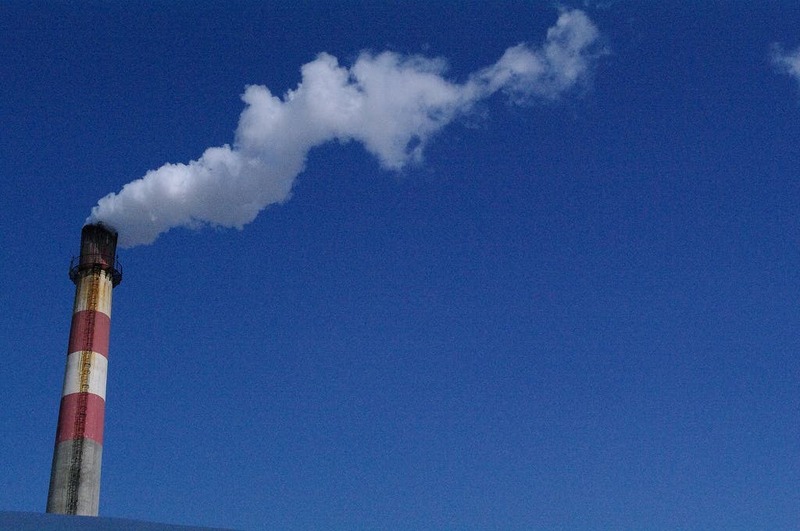 Greenhouse gases in the atmosphere have hit a record high — again. Image credits Climate and Ecosystems Change Adaptation Research University Network / Flickr. United Nations (UN) officials reported last week that greenhouse gas concentrations in the atmosphere have hit a record high. The report, published in preparation for the COP24 climate summit to be held in Poland next month, also warns that the time to act is running short. The Greenhouse Gas Bulletin — the flagship annual report of the UN’s weather agency, WMO (World Meteorological Organization) — has been tracking the content of various gases in the atmosphere since 1750. This year’s report (covering data for 2017), puts CO2 content in the atmosphere at 405.5 ppm (parts per million). This is the single highest value we’ve ever seen during our time on the planet — it’s up from 403.3 ppm in 2016 and 400.1 ppm in 2015. Both years were record-setters in the CO2-content department themselves. However, it’s not the first time our planet has experienced such levels of carbon dioxide. The WMO has reliable CO2 concentration estimates for the last 800,000 years, drawn from analysis of air bubbles locked in the ice sheets of Greenland or Antarctica. It also has rough estimates of the gas’ concentration in our atmosphere spanning the last five million years, mostly drawn from chemical analysis of fossils. The agency also points to rising concentrations of methane, nitrous oxide, and ozone-depleting gases (such as CFC-11) in addition to CO2. Carbon dioxide (CO2), methane (CH4) and nitrous oxide (N2O) all broke new records in 2017, with CO2 at 405.5 ppm, CH4 at 1859 ppm, and N2O at 329.9 ppb. These values represent, respectively, 146%, 257%, and 122% of pre-industrial (before 1750) levels. All in all, this isn’t good news. While the amount of greenhouse gas in the atmosphere is indeed a direct consequence of emissions, that’s only part of the picture. Emissions are how much of such compounds we release into the wild; the levels reported on by the WMO are what stays there after plants, oceans, and all sorts of other players are done absorbing their share. ‘Their share’ amounts to roughly 25% of all emissions for oceans and the biosphere, plus a little extra that goes into the lithosphere (i.e. rocks) and cryosphere (i.e. ice). These atmospheric concentrations reported on by the WMO are, then, the year-after-year build-up of emissions that our planet can’t process. According to the UN’s Intergovernmental Panel on Climate Change (IPCC), the body tasked with reviewing climate science and organizing the international effort against climate change, net emissions must be brought to zero in order to limit warming to below 1.5°Celsius. This basically means either not emitting anything in the first place (which is highly unlikely to happen right now), or scrubbing as much greenhouse gas out of the air as we put out — whether this is done through natural or technological means isn’t really important. If we can’t rise up to the challenge, notes WMO’s deputy chief, Elena Manaenkova, all that CO2 will end up in the atmosphere and oceans — and plague us for hundreds of years. To put it in context, the cost of climate-related disasters topped $2.25 trillion worldwide from 1998 to 2017. The U.S. had “the worst” losses with $944.8 billion, followed by China with $492.2 billion, and Japan with $376.3 billion, Niall McCarthy writes for Forbes. The UN reports that 17 of the 18 hottest years on record have occurred since 2001. A warmer climate means more and more powerful disasters (such as droughts, storms, or disease). “There is currently no magic wand to remove all the excess CO2 from the atmosphere,” she said. “Every fraction of a degree of global warming matters, and so does every part per million of greenhouse gases,” she said. UN rights chief Michelle Bachelet warned in an open letter addressed to all member states at COP24 that the world faces dire consequences if we don’t change our ways. “Entire nations, ecosystems, peoples, and ways of life could simply cease to exist,” she said. She cited evidence that nations are not on track to meet the commitments made in Paris in support for her claims. The report “WMO Greenhouse Gas Bulletin (GHG Bulletin) – No. 14: The State of Greenhouse Gases in the Atmosphere Based on Global Observations through 2017” is available on the WMO’s page here.